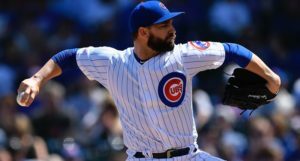 Chicago Cubs pitching prospect Luke Hagery – I love calling a 37-year-old lefty a pitching prospect, but he really is! 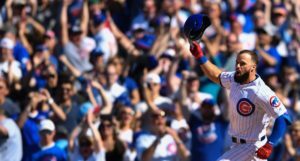 – faced hitters as he looks to come back from 15 years out of organized ball thanks to injuries and the yips and life. 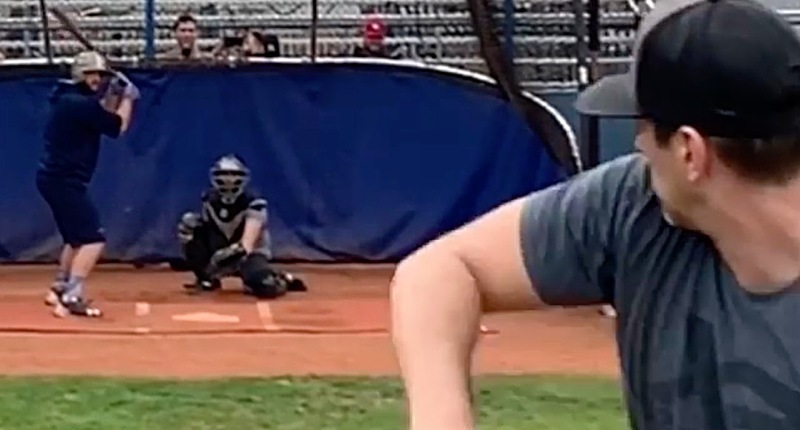 At 95 mph, that’s a heck of a lot of movement, and makes for a very nasty pitch. That swing on pitch two … oh man. Moreover, Hagerty says in the comments that that’s his four-seamer, not a two-seamer. I can only presume he goes with the four-seamer, then, because there would simply be too much arm-side run on his two-seamer to command it? Either way, dang, that’s a nasty pitch. For now, you should continue thinking of Hagerty as a prospect – an experienced one, but a prospect all the same. 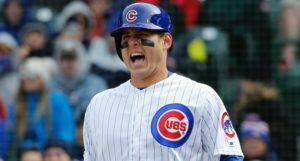 He did not receive a non-roster invitation to Spring Training, so for now, the Cubs are projecting to take it slow with his return. (T) 97.2mph good session. Kinda Over threw some. Felt a little off. Working on getting in sync at high intensities. I think cutter will work at full distance. Split change just needs to be down. Will look better at full distance. Main focus was throwing it closer to full speed.